Are you having problems with the boss? Wishing you could be a better spouse? 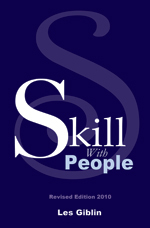 Looking to increase your people skills? Do you want to develop an attractive personality? Not communicating well with your employees? Having trouble building business relationships? 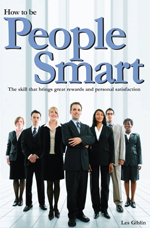 Or would you just like to improve your people skills and your ability to make strong, lasting impressions on the men and women you meet every day? Let Les Giblin's classic books show you how! A must read for any human being! "This is the Bible for people skills. The Cliff's Notes version. Not a comic book, just a nuts and bolts, hit-you-where-you-live, practical booklet. It works. Read it. It takes an hour max, even if you're slow. Then apply it. And watch you life CHANGE for the BETTER...FOREVER!!!" There's a reason this book is still around! "..like most truths in life, they transcend time. Time may march on, and things may change... but Les's words WILL provide every reader the basic skills needed to deal with what will never change... Read it, use it! buy a copy for a friend." 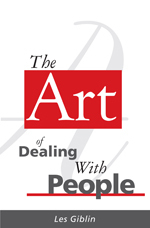 "This book teaches you how to deal with people. It doesn't waste you time with a bunch of words. It's short format is perfect, short reading. Can be read over and over again." The best short book I ever read. "There is so much packed into so small a book. Every time I read it I find something new, or something I missed before. Great Book!"